This display is great for a rustic look in your family room or office. 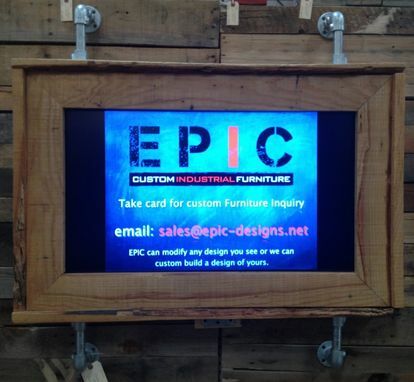 As shown this display has a 40" LED display in it with salvaged wood as the frame. If you want a piece that nobody else would have, this is it. EPIC can provide the display as well for a complete design, tv installation required and shipped separate.